The term Steel Building can mean different things to different people. 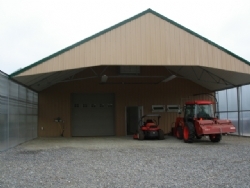 We can design our Steel Buildings to be anything you want. You may have a need for space to set up a staging area for shipping, a storage area, a warehouse, an isolation area, a mechanical room, a room for staff to have breaks, an office area, and/or restrooms. 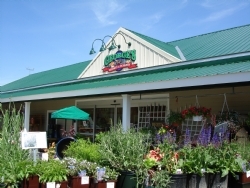 It can be a retail selling space or a shopping area. What is it that you need more space for? 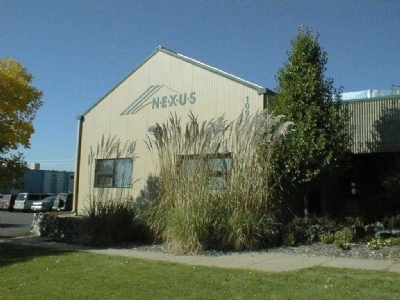 A Nexus Steel Building can do it for you. A Nexus Steel Building is very cost competitive when compared to other metal building square foot prices for warehouse space. 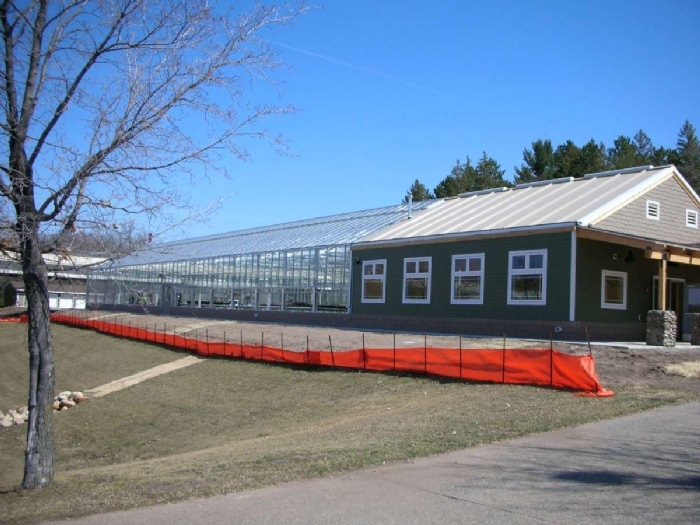 If erecting at the same time as your greenhouse structure, you will deal with one manufacturer and one labor crew for both parts of the project. 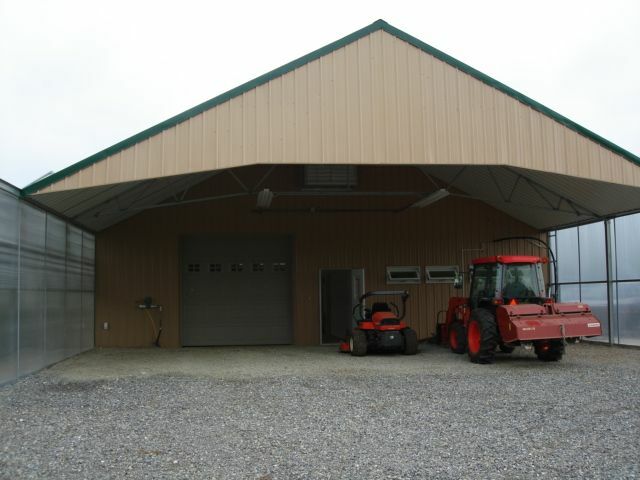 You do not need to find ways of tying your growing space and warehouse buildings together if you use a Nexus Steel Building. We include all of the connecting flashing from the greenhouse. 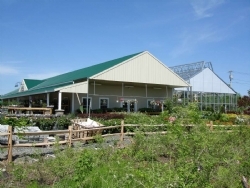 You can cost-effectively extend or gutter-connect an expansion at a later date. You get one-stop shopping with Nexus sales and engineering. The coordination time for the grower is much less than using several companies. With Nexus the coordination will be seamless and time-sensitive. 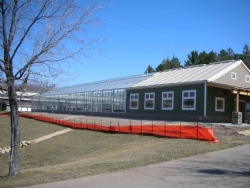 The structure can use footings or typical greenhouse caissons. 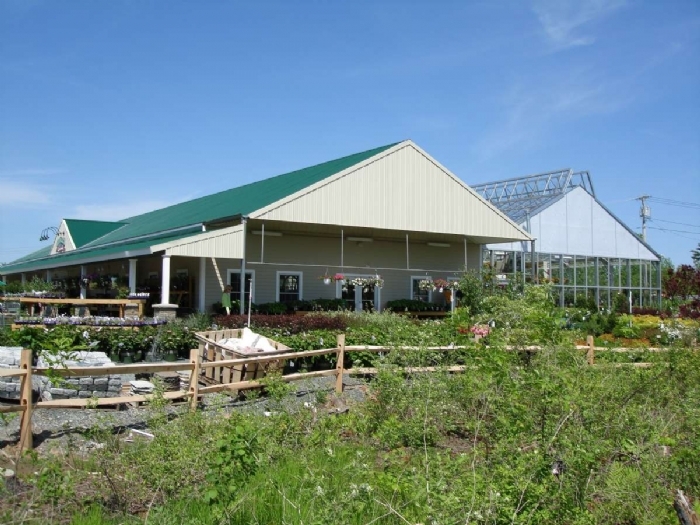 Your Nexus Steel Building can have the same design profile as your greenhouse or retail area to give your project a consistent look. Various color options for metal coverings can be used to further enhance the structure appearance. A skin of metal decking on the inside will give the interior space a clean and finished look. Any number of door style, sizes and types can be provided. Storefront walk doors and overhead doors along with automatic glass sliders will enhance the look and use of your Nexus Steel Building. » View all related projects!